The president of the Japanese Olympic Committee (JOC) and International Olympic Committee (IOC) marketing chair, resigned from both posts, Tokyo Governor Yuriko Koike said Tuesday. Tsunekazu Takeda, 71, who has been under investigation for allegations of corruption connected to Tokyo's successful bid to host the Tokyo 2020 Olympics and Paralympic Games, said in a phone call that despite his decision to leave, he "wants to prove his innocence," according to Koike. Takeda, who served as the JOC president from 2001, is suspected by French prosecutors of effectively paying for bids to help Tokyo secure the 2020 Olympics and Paralympic Games. A portion of 2.8 million Singapore dollars (two million U.S. dollars) paid by the Tokyo Games' bid committee headed by Takeda to Singaporean consultancy firm Black Tidings in 2013, went to the son of a Senegalese man who had a high standing on the IOC. Calls for Takeda's resignation have become more vociferous since French legal entities have being considering indicting Takeda since December last year after he was placed under formal investigation for "active corruption". Since then, Takeda has not been attending IOC meetings, although he has denied allegations that he had illegally paid for votes that led to Tokyo securing the summer Games in 2013, ahead of Madrid and Istanbul. 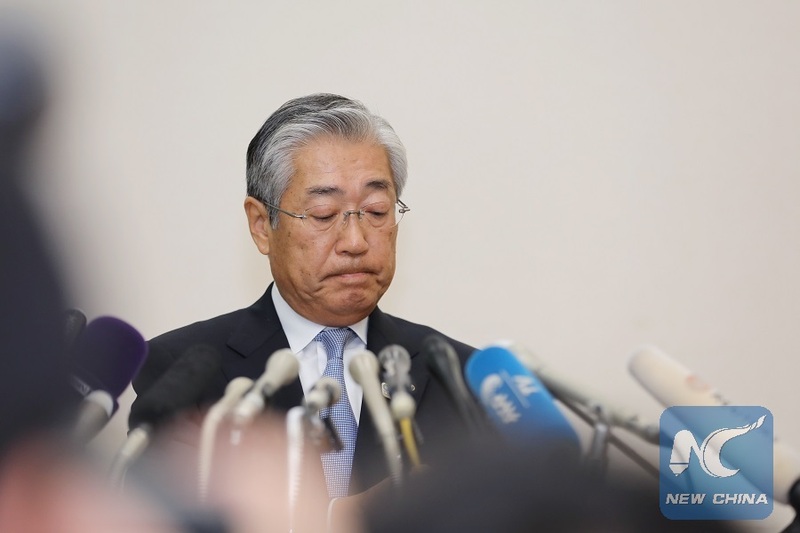 Japan's scandal-hit Olympics chief resigns from both JOC, IOC posts.